Granite and Marble Express of Chantilly, Virginia specializes in Sales, Fabrication and Installation of Granite, Silestone and Marble kitchen Countertops, Fireplaces, Vanities, Tables, Tiles and much more. Granite and Marble Express has the fastest customer service and the most experienced installers at the best competitive prices. "You will love what we can do for you, let us show you how." As you take a few moments to explore the sections of our site, you'll get to see high-resolution photos of many of the actual Silestone countertops we've installed throughout the Washington D.C. metro area. You can also learn much about Silestone's unique properties and benefits, and compare Silestone vs. 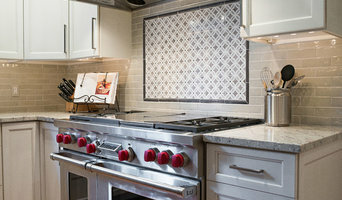 Granite so that you know you're choosing the right material for your kitchen's and backsplash surfaces. And as our company's name implies, we're also the best choice for your granite and marble kitchen counters as well! Please consider bookmarking this page and then explore our site for more informative articles, great photos and detailed information! Beverage Depot Liquors is the mainly named Liquors suppliers Stores in all over Parkville, Maryland, we have the biggest selection of wines, beers & spirits variety of different regions with competitive price, and we also supply wine accessories like as wine glasses, openers, & preserving pumps. Beverage depot liquors supply best customers support with their ten years’ experience. For more information take a tour our websites. For 100 years, Galliher and Huguely, has been dedicated to providing its customers with premier service, quality products, and competitive pricing. G&H, as we have been know for a century, has all of the products that you are looking for when it comes to new home construction, remodeling, and multi-family residential construction. Our main location is conveniently located in NW Washington, D.C at the intersection of Blair Rd. and Kansas Ave NW. Our new designer showroom is located just off Wisconsin Avenue at 4618 Leland St. Chevy Chase, MD. TW Perry is the #1 full-service independent pro-sales lumber and building materials dealer in the mid-Atlantic, with 5 stores in Maryland and Virginia and a Custom Millshop. SKY MARBLE AND GRANITE, INC. IS AN AWARD WINNING COMMERCIAL AND RESIDENTIAL FABRICATION AND INSTALLATION COMPANY LOCATED IN THE METROPOLITAN DC AREA, WITH MORE THAN 50 YEARS OF FAMILY EXPERIENCE IN THE INDUSTRY. SKY takes pride in the quality of our craftsmanship, the service we provide, and the knowledge we share. We understand all aspects of the remodeling process, and have the insight on quality stone products and the accessories that are best suited for each project. For your next project, choose SKY your stone experts. SKY Marble & Granite, Inc. specializes in kitchen and bathroom remodeling, tile flooring, natural and engineered stone countertops. Our roots in the industry bring our customers an intricate network of well-established craftsmen from around the world. For your next remodeling project, choose SKY, the marble and granite experts! Homestead Building Systems, Inc. specializes in engineering, manufacturing, and delivering engineered wood products for the residential and commercial building industry. Ambient was formed in 2005 as one of the first companies in the world to specialize in strand woven bamboo and eucalyptus flooring. Our mission is to provide eco-friendly, durable, safe and high-quality bamboo and eucalyptus hardwood floors. Our products have earned a well-merited reputation for quality since then and are favored by the world's leading architects and designers (and homeowners like them too!). We offer only the best quality products at affordable prices that are safe for you and your family, with personal and professional service to boot. We carry a wide selection of floors for all tastes, budgets and styles, and our floors has been installed around the world. Welcome to Granite Source, the number one provider of granite countertops in Northern VA, Richmond, VA, and throughout the region. Founded in 1999 as a high end custom stone shop, Granite Source has evolved into the largest volume stone producer in the Northern Virginia and greater Washington DC area, regularly installing more than 150 custom kitchens a week. We work for most of the area’s top builders, remodelers and big box stores and have built a reputation for being the go-to source for quality and knowledge. We fabricate and install the following products. Granite, marble, soapstone, limestone, travertine, Richlite, PaperStone, IceStone, Silestone, ECO by Cosentino, Caeserstone, Zodiaq, Cambria, Glass by Studio L Glassworks and Wood tops by Grothouse Lumber. 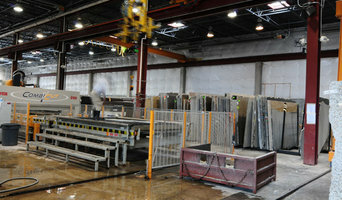 Granite Source is a large family that takes great pride in being a local success story. With over 50,000 kitchens installed, there is a legacy of trust and quality that we take very seriously every day. We are excited to have an opportunity to work with you on your project and look forward to exceeding your expectations in every way. John S. Wilson Lumber is dedicated to providing the highest quality lumber and building materials to builders, remodelers and the do-it-yourselfers. John S. Wilson will also provide the best trained, knowledgeable sales staff to assist you in all aspects of your project. Baltimore Granite Direct will custom fabricate and install Natural or Engineered Stones for your home project. We specialize in kitchen counter tops, bathroom vanities, bar tops, fireplace surrounds and more. This year Baltimore Granite has ventured into the world of Cabinetry, offering several cabinet lines to meet any budget. In 2015 we will be introducing several back splash options, ceramic, natural stone, slate veneer, stack stone and stainless steel. *Authorized JELD-WEN Windows & Doors Dealer* BuilderUp is a building materials supply company with two retail locations and a manufacturing location. We are local experts in building supply. We carry pressure treated lumber, composite decking, interior and exterior windows and doors, and custom-cut engineered wood and steel I-joists. We also custom manufacture roof trusses and wrought iron railings. 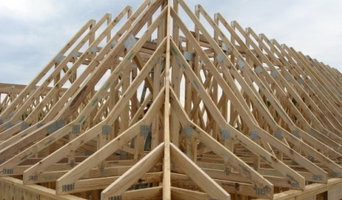 We offer full building engineering drawings for roof truss design and engineered wood joists. 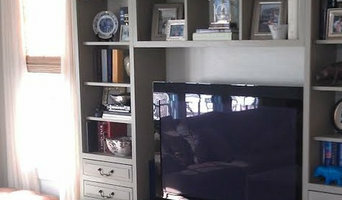 We are a father and son Phoenix home remodeling company specializing in all aspects of home renovation. From small projects to kitchen and bathroom remodeling to whole house transformations and room additions we are experts in all areas. Dedicated to quality workmanship and attention to detail, we do most or all of the labor ourselves. This allows us to work closely with you to ensure that your dream home remodeling project is everything you hoped it would be. We are excited and eager at Stroup Flooring America to get to know you and help you with all of your floor covering needs. Our family has been serving the Frederick area since 1932 and have the 4th generation now working to serve you. 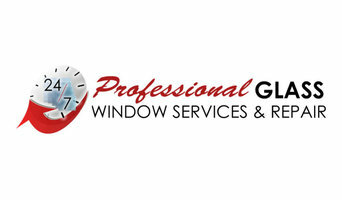 We are committed to providing every customer with the best selection and the best price available anywhere. Furthermore, we back our flooring purchase with our Performance Assurance Program of warranties-one of the strongest warranty programs in the industry. Our Confidence Plus Warranty also takes the worry out of any decorating decision. Our friendly, knowledgeable and professional sales staff will help you find the product that is right for your budget and style. Visit our impressive showroom today and discover a whole new way to buy flooring. Our staff is professionally trained and Certified to deliver the very best level of customer service possible. If you’ve never been involved in building a new Crofton home or doing a house renovation, you’ll be amazed at the variety of Crofton, MD building supplies and manufacturers that exist today. With today’s emphasis on chemical-free and recyclable products, you may find a Maryland lumber supply company that specializes in salvaged, recycled and reclaimed wood. Reclaimed wood projects and applications can include custom interior walls, wide-plank flooring, barn wood sliding doors and more. Find lumber and building supplies on Houzz. Narrow your search for Crofton, MD lumber supplies and building supplies by selecting the nearest city or zip code. Find trusted lumber companies and hardware suppliers with reviews from residential builders, interior designers and homeowners.